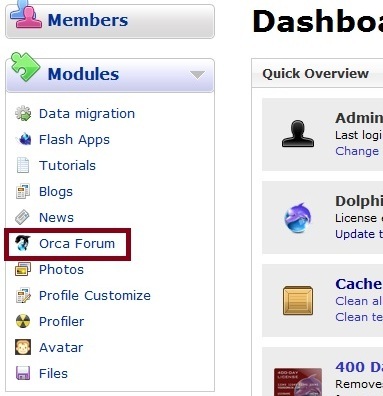 If you want your Dolphin 7 Orca Forum folders open so visitors and members can see the Orca Forum Categories / Orca Forum Sub-Categories you can make this happen very easily. It is wise to download and back up the above file prior to applying the modification. Open the file with your favorite text editor or with your hosting control panel's file manager and edit the file. Save the changes back to your host / server. After making the change to the file, you need to login to your Dolphin administration panel and go to Modules...Orca Forum. Then find Compile Languages "en" link in the upper right corner or the orca admin area to update the changes and to take effect. If you have another language you will need to compile the one you are using. You should see a window (prompt) that says: "Language files have been successfully compiled". Refresh your forum...and now they are all open for easier navigation. Now rather visitors / guests and members do not have to actually click on one of the Forum Categories, they will all be open by default. 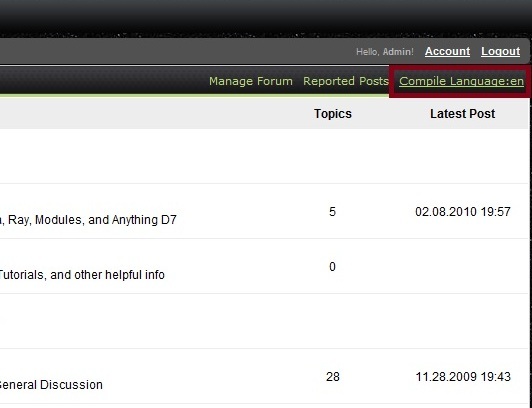 This could make forum posts and topics a little easier for your guests and members to find and navigate. Some people get confused and don't realize all the topics and categories are actually available. Any problems restore the original unedited backup to your host/server. And make sure you compile the Orca Forum language file in your Dolphin 7 Administration again to update the changes. Should Boonex put out a Dolphin 7 update or patch that happens to contain this same file in the future you would need to reapply this because basically it would overwrite your changes. If any update / patch does not contain Forum.php then you will not have to re-apply this. But do keep this in mind.